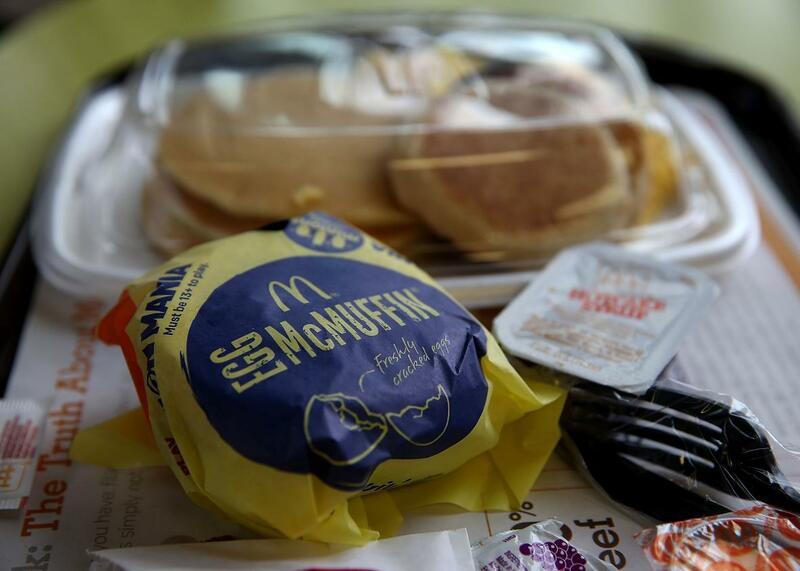 Why some fast-food franchises serve breakfast and others don't. To B, or not to B? Breakfast has become increasingly important in the fast-food industry. However, there is just one factor that separates the early birds of fast food from the worms. Less than two years after introducing breakfast, the first meal of the day makes up 6 percent of sales at Taco Bell. At McDonald’s, breakfast accounts for a whopping 25 percent sales, with all-day breakfast contributing to a 5.7 percent uptick in United States sales in the fourth quarter. But, it’s far from a guaranteed success story. Wendy’s is the largest fast-food chain that doesn’t serve breakfast nationally. However, brands from Shake Shack to Arby’s only serve the morning meal at select locations. Take Boston Market, for example. The 450 location chain doesn’t serve breakfast—except at a single location in the Washington Heights neighborhood of New York City. The reason that this one restaurant started serving breakfast in February is due to its location, which is ideal for a speedy and convenient to-go business for customers who want to grab a bite to eat on-the-go in the mornings. “If you don’t have the foot traffic and the flow, it’s hard to get people to come in and try it,” Bob Gerard, Boston Market’s director of operation for New York, Boston, and Connecticut, told Business Insider. Fast-food breakfast needs to be the most convenient meal of the day for customers. The Boston Market location serving breakfast is located at the intersection of a subway entrance and a bus stop. Shake Shack only serves breakfast at airports and trains stations packed with commuters. Wendy’s serves breakfast at certain locations with plenty of foot traffic, but the CEO has said it would require too much marketing to expand the service to all locations. In general, this issue of to-go convenience is what separates the winners from the losers when it comes to the fast-food breakfast game. The biggest sellers in fast-food are the most convenient, with hand-held icons like McDonald’s McMuffin, Dunkin’s donuts, and the A.M. Crunchwrap, called by Taco Bell’s chief marketing officer Chris Brandt, “the most portable breakfast sandwich in the business” when it was introduced. Even at Boston Market, the most popular pick has been the breakfast burrito—an unexpected success for a chain best known for its rotisserie chicken. The items that are quickest to leave the menu are those that aren’t as portable for on-the-go eating. While the Waffle Taco made headlines when Taco Bell debuted its breakfast menu, critics questioned its portability and the chain ditched the dish after a year. Similarly, Boston Market tested a breakfast pot pie, but ditched the concept in favor of sandwiches and burritos. In 2016, consumers care more about a convenient breakfast than ever, with 40 percent of millennials believing that cereal is an inconvenient breakfast choice because they have to clean up. However, when customers are convinced that a fast-food chain can save them time, it becomes an indispensable part of their morning routine. Customers are more likely to eat the same thing every day for breakfast than any other meal, meaning that regulars can drive a huge amount of business for chains. Not every fast-food chain needs to enter the breakfast space. However, those that do need to make sure that they never are wasting even a second of customers’ time.